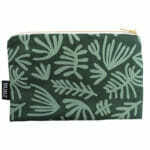 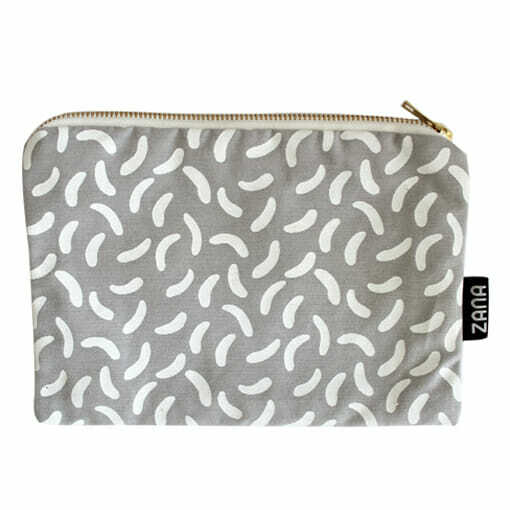 A small pouch with a grey confetti print. 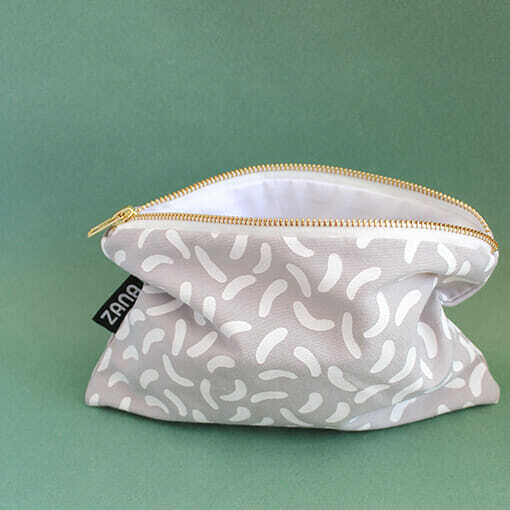 100% cotton, brass zip and is lined for a luxurious feel. 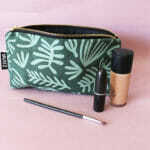 Can be used for make up, bits & bobs or anything under the sun!